Our toddler program provides a loving and nurturing environment where children learn to trust other adults and begin to develop friendships. The children may participate in a variety of creative, hands-on activities and new experiences, where they learn to discover and explore their world around them. The children enjoy singing, dancing, stories, talking, listening, cooking, painting, playing with developmentally age appropriate toys, going outside, dramatic play, and experimenting with different textures such as sand, water, cornmeal or shaving cream. 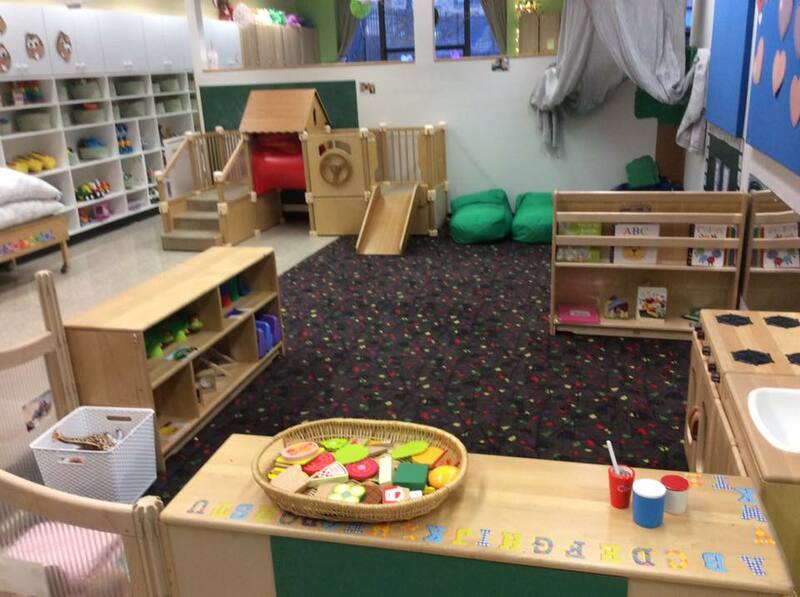 The program is developmentally based, allowing the children to develop at their own pace. In addition, our excellent teacher-child ratios allow for one-on-one and small group activity. Soft cuddly areas, private spaces, climbing structures, blocks and manipulative's, sensory tables, as well as floor space for group time are all provided. 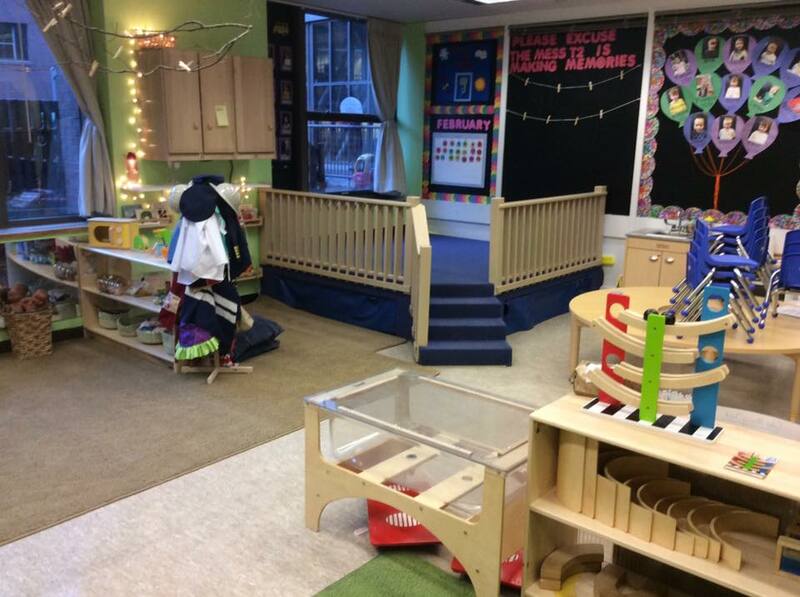 Teachers focus considerable attention on the child's safety and daily routines including arrivals and departures, diapering and toileting, eating, naptime, and dressing.